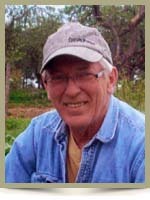 Frail, Ronald, 61, of Caledonia, Queens County, passed away on Monday, June 11th, 2012, at home. Born in Caledonia, he was a son of the late Aubrey and Ida (Henley) Frail. Ron spent all of his working life as an electrician. He was a member of the North Queens Board of Trade. He enjoyed getting together with his family and friends to play music. He is survived by his loving wife Suzanne; son Spencer; brother Avery. We were so shocked and saddened to hear of your loss. Our hearts and prayers are with you in this difficult time. So hard to believe and so sad to hear. Our heart goes out to you and your family. Always will remember the great times we had listening to his awesome guitar playing. He will surely be missed. He loved getting together with his friends to play music. We were shocked to hear of Ronnie’s passing. Life sometimes is just too short. Those in his family will carry deep sorrow over his sudden passing. We wish to offer our deepest sympathy to you and the extended family. You will be in our thoughts. Suzanne and Spencer, We are so sorry to hear of Ronnie,s passing,our thoughts and prayers are with you and your family. We are so very sorry to read this sad news. We send heartfelt condolences to Suzanne & family. Hold your memories close through the rough days. God Bless, Curtis & Linda Maillett of Brooklyn. WE where so sad and shocked by the news of Ronnies passing. He will be missed ,god bless and our thoughts are with you and your family. We are so saddened to here about Ron,our thoughts and prayers are with you all at this sad time. It is just so hard to believe that Ron is gone . We offer our heartfelt condolences to all on the loss of a great guy. Know that our prayers and thoughts are with you at this time. Suzanne we think of our last visit with you in 2010. We so enjoyed our time with you and Ron. too bad we are so far away. Hugs to you and Spencer. Suzanne and family. I am so sorry to hear of Ron’s passing. My thoughts and prayers are with you. It is with saddened heart that I write this to you. I was so shocked, as was everyone else. I believe that our days are numbered, and whenever that times comes, we will be called home. I experienced much of the same thing with Virgil, and it is a terrible thing to happen so suddenly,. My sympathy and love goes out to you all. Hold on to your precious memories! Suzanne and family, we were so sorry to hear of your loss, our prayers are with you at this difficult time . Pls accept our deepest sympathy at this very difficult time. God needed someone to brighten the path to heaven more and he called on Ronnie to do it. He is with my Uncle Aubrey and Aunt Ida now. He will be well cared for and much loved as he was here on earth. I will miss that flip of the hand from him when we met ( whether I was walking or driving) and seeing his truck go by so often. I am so proud to have had him in my life and in my family. He will be missed by all who knew him. He was a great guy. Hugs to you and Spencer. Ronnies’ passing leaves a large hole in the heart of the entire community.He was always there to lend a hand,and play a tune for whatever was going on.Ronnie could leave a smile on your face,and keep it there.Going to miss him,as we all are.You can be proud of the many freinds and colleagues he made over the years.I am sure there is a big jam session going on in heaven right now,and Ronnie is happily part of it Suzanne and Spencer,may you be comforted in knowing how we all grieve in your loss.May you keep strong in knowing that you have so many to help you in your time of need. My prayers and thoughts go out to you during this difficult time. It was a shock hearing about Ronnie and we will certainly miss his great music. I know how difficult this is for you as i went through it myself 4 years ago and it still seems like a dream. Hang on to the memories and I pray God’s blessings upon you and the extended family in the days ahead. I am so very sorry for your loss of Ronnie…I don’t think I can remember not knowing him..My heart goes out to you and please feel the hugs I am sending. Suzanne – Paul and I were so shocked to hear of Ronnie’s passing. Paul is still in shock and can’t believe it has happened. They has such fun times when they were together. He was such a happy guy and always could get you to laugh. We sure will miss him around the community. We are thinking of you and the saddness you feel. May God bless you at this time and know many prayers are being said to comfort you. I was so shocked to hear of Ronnies passing,i guess i`m not the only one. Certainly will miss his jokes.Just wanted to say he may be gone but will live on in our hearts. You and Spencer are in our thoughts and prayers. I am still in shock as I am typing this message. Please know that you are in my thoughts and my prayers as you try to work through this. Remember you are not alone and that your family and friends are just a phone call away. Richard and I were saddened to hear of Ronnie’s passing. Our thoughts and prayers are with you both at this very sad time. You have many great memories of all the fun and great times you had together. Cherish the fond memories and we will remember all the good times we had with Ron. We will miss him greatly. All our love to you both. I was saddened and shocked to read about Ronnie’s passing. He was always so friendly and helpful when he came to our cabin at Tupper Lake to do repairs for us. He will be greatly missed by all who knew him. God bless and comfort you and your family. Suzanne and Spencer, we are shocked and so upset to hear this sad news. Suzanne and Spencer It is with great sadness we read this in the paper. We would like to offer our deepest condolences for your loss. We will surely miss, as well as hold the past times we had standing in Judy’s kitchen chatting & laughing while enjoying her seafood chowder & sweet&sour meatballs. Ronnie we be greatly missed. We are sorry to learn of Ronnie’s passing. I remember Ronnie visiting our house to do electrical work. It seemed as if it only took a short time to complete the work,but he and Dad would sit and talk for hours. I know my Dad considered Ronnie a special person in his heart. Please know that you are in our thougts and prayers. Suzanne,Spencer and family,On Monday when the word of Ronnie passing on reached the people of the communites they fell into disbelief.Dwight at the moment I told him became angry.He could not believe he was taken away.He was fun to be around,great musician and a wonderful electrician and will be missed so much.Dwight and Ronnie always had some great yarns to share.I know your hearts are so heavy with pain but Ronnie is in Heaven looking down on us and seeing the love we are sharing with him,Suzanne and Spencer.RIP Ronnie,we will all miss you SO MUCH,I know Aunt Muriel will miss him for his coffee he would share with her. Suzanne and Spencer.I am so sorry to hear of your loss.Although i haven’t seen you guys in a while, i do know that Ron was a wonderful person,and will be sadly missed.Every memory i have of Ron are good ones.My thoughts and prayers are with you. Judy & I were shocked and sadden to learn. Of Ronnie’s Untimely death. Our thoughts & Prayers are with you. He worked on our cottage on Molega Lake several times over the years. No words could be enough at this time to ease your pain and sadness. Thinking of you both so much and wish I could say this in person. Suzanne & family….we are so sorry to hear of Ronnie’s passing.He will be missed by family and friends greatly. The last time that we saw Ronnie was when he came back to the farm to buy my Gibson guitar. He was just like a little child at Christmas time with a new toy. I know it gave him great pleasure when he was with his friends playing music, and we will still hear him in the soft gentle breezes that blow from the heavens…. Suzanne and Spencer, We were all shocked and saddened to hear of Ronnie’s sudden passing. Please know our thoughts and prayers are with you at this difficult time. I measure life in how much a person Loved, Laughed and Learned and when we remember Ronnie in these areas he truly lived. The great memories that he left with you will remain. Unfortunately we will be unable to attend Sat.’s service but will be thinking of you both. Suzanne & Spencer We are so sorry to hear about Ronnie’s sudden death. Life is so short and when you hear of someone as young as Ronnie being suddenly taken in the prime of life it makes us all stop and think. Our thoughts are with the both of you at this difficult time. Sending our deepest sympathies to you and your family at this very sad and difficult time. WE ARE AT A LOSS OF WHAT TO SAY.CAROLYN AND I WERE SUPPLIERS TO RON , OVER 25 YEARS WE WORKED TO BRING THE ELECTRICAL CONTRACTING FORWARD .ONLY A FEW MONTHS AGO I TALKED WITH RON , TO HERE HIM SAY ..ITS SOON TIME TO WELD MY PLIERS SHUT.ITS TIME FOR A YOUNGER ONE TO ..?HE SAID WE ARE TOO OLD. WE CAN ONLY HOPE THAT THE ONES FOLLOWING CAN BUILD ON WHAT WE HAVE LEFT FOR THEM. Suzanne, Spencer, & family members. No words can express the loss you are feeling at this time, hold onto those precious memories. We wish to offer our deepest sympathy to you all. You will be in our thoughts. Saddened to hear of Ronnie’s passing. May the memories of happier times, with family and friends, sustain you in the days ahead. Time is a great healer..